Flashlube have released a huge range of Common Rail Diesel filter systems to suit most of the new generation 4wd’s in the market now. 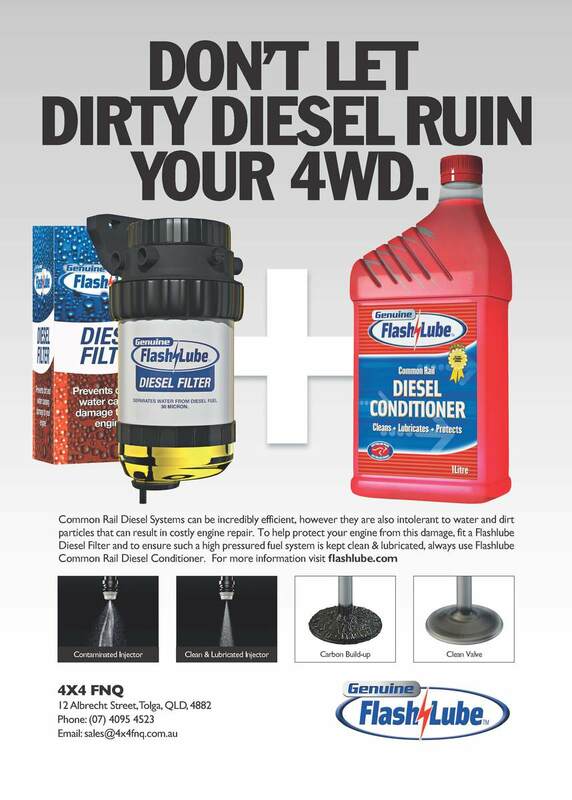 Dirty diesel that contains water and dirt particles will cost you thousands to repair, so protect your 4wd’s common rail diesel fuel system with the Flashlube kit. Now available at 4x4FNQ … Have your filter system supplied and fitted at 4x4FNQ and save thousands.